Create crafty monsters with your favorite little monsters! Step 1: Measure and cut your owl’s body color. We chose orange, you can use any color you want. Step 2. Use the hot glue gun to add a line of glue down the side of the toilet paper tube. Press one edge of your paper down on the glue and wrap the paper around the tube. Finish with another line of glue on the inside edge and press down on seam to seal. Step 3. Glue on your googly eyes. Step 4. On your next color of construction paper draw two diamond shapes for wings and a little triangle for a beak. Cut these out. Step 5. Glue on one wing at a time wrapping the wings around the body. Glue the beak under the eyes. Step 6: To create that owl “ear” look press in the top on two sides of your owl’s head. Step 7: Personalize it—have your child add little feathers or other features to the owl’s look. Step 1: Measure and cut your monster’s body color (green), then measure about half that size in the black paper for its hair. Step 2. 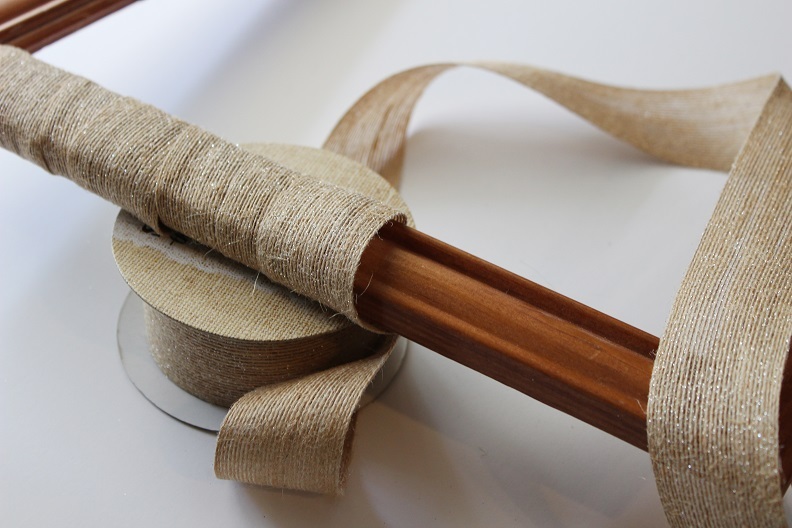 Use the hot glue gun to add a line of glue down the side of the toilet paper tube. Press one edge of your green paper down on the glue and wrap the paper around the tube. Finish with another line of glue on the inside edge and press the paper down to seal seam. Step 3. Adults with big scissors (or child with safety scissors) create the hair on the black strip of paper by cutting lines halfway through the strip along one edge. Step 4. Glue the hair to the top fourth of your toilet paper tube. Step 5. Glue down your googly eyes. Step 6: To create the iconic screws on the side of its head, cut four little pieces out of a straw. Glue two pieces together to make a “T” shape, and finally glue a “T” to each side of the monster’s face. Now you have a Frankenstein’s Monster! There are so many other creatures you can make for Halloween, share your creature creations on our Instagram #MyAshleyHome. One of my favorite fall traditions is making a wreath for the front door. This year I decided to try something new and made my wreath out of an old picture frame. 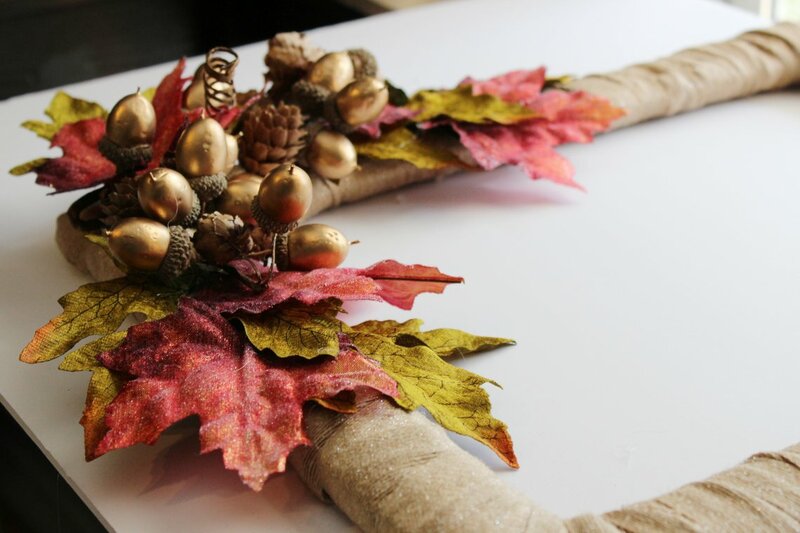 It creates the same warm welcome as a traditional wreath but dares to be different in such a fun and creative way! Glue the end of your ribbon to the frame. 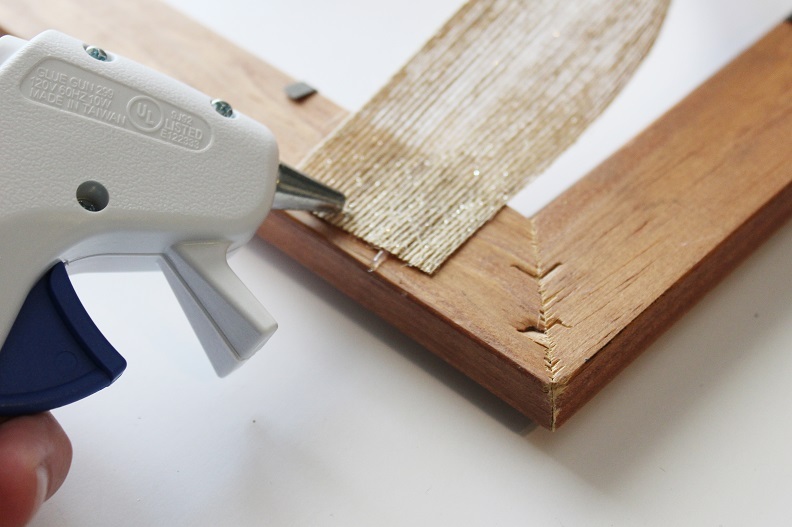 Wrap the ribbon around the frame, stopping periodically to secure it with a little glue. 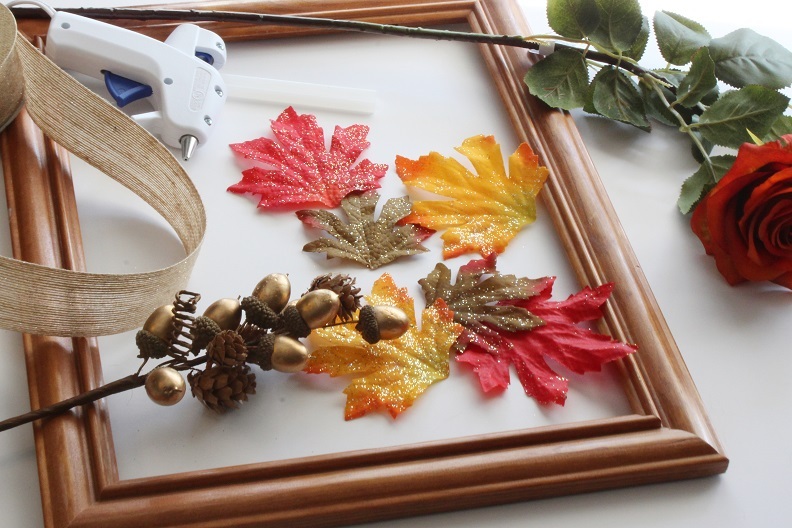 Use floral wire or glue to adhere flowers and fall leaves to the frame. Hang your masterpiece and enjoy! 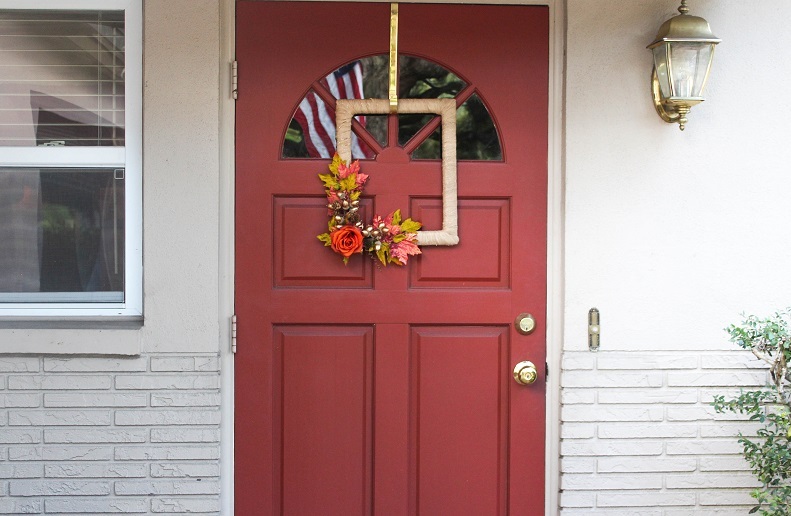 We’d love to see how you’re decorating your front door for fall! Post a picture to Instagram or Facebook with #myashleyhome. Behold the sofa table, one of the home’s most versatile pieces of furniture. Use it as many things but most importantly you can dress it up for fall. 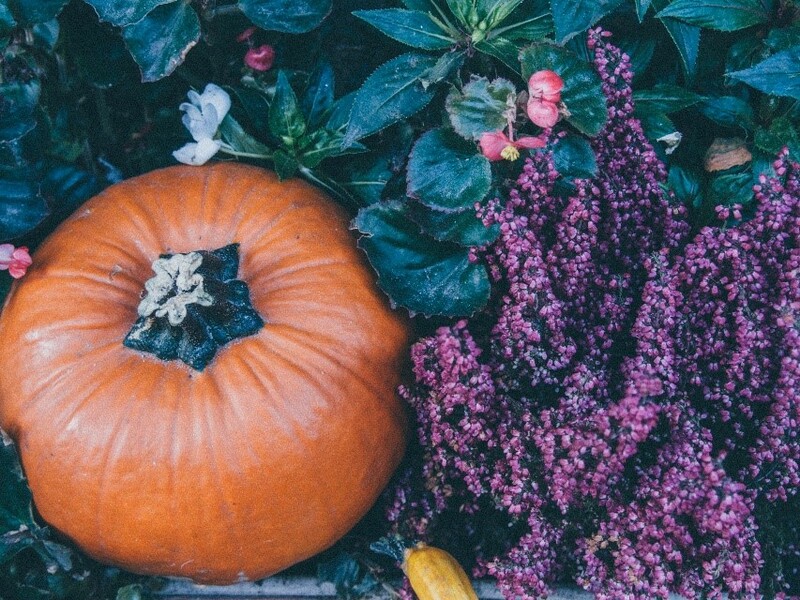 Organic fall decorating costs little money or time. A stroll through the woods, a run to the farmer’s market is all it takes to fall home in style. Make the most out of your fall mealtimes with the below tips I’ve come to learn with each passing season. 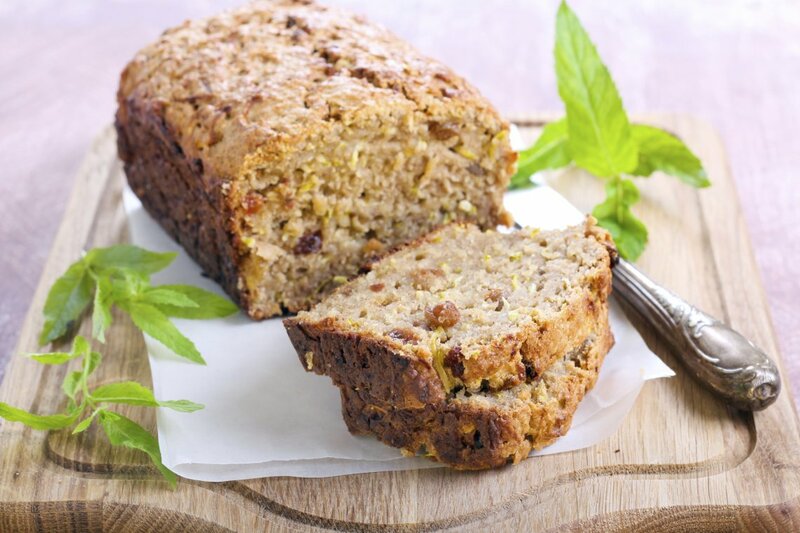 These tasty ideas are sure to please. Shift into the new mood by personalizing your spaces with these easy updates. Spice up your rooms with a mix of warm and unexpected textures. 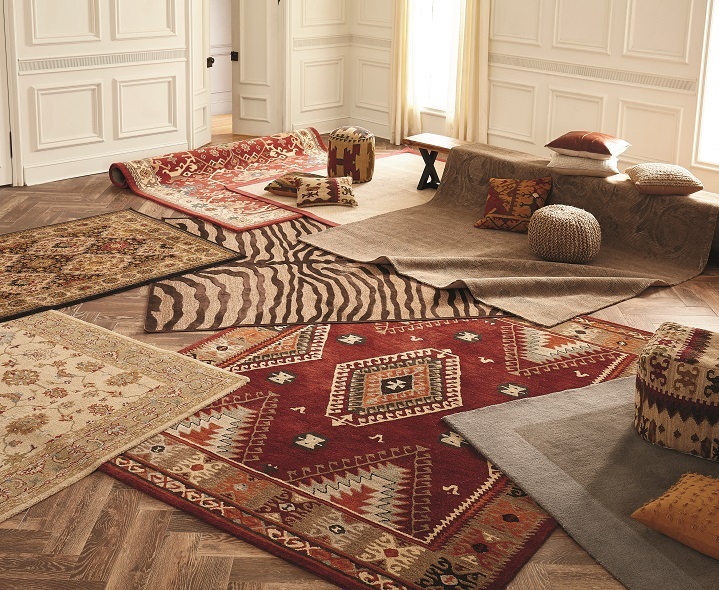 Like leather, realistic fur and vibrant kilim patterns. Flickering candlelight is always intriguing, especially when its holder is wondrously unique. Go for an asymmetrical look by pairing two unique sizes of candle holders. 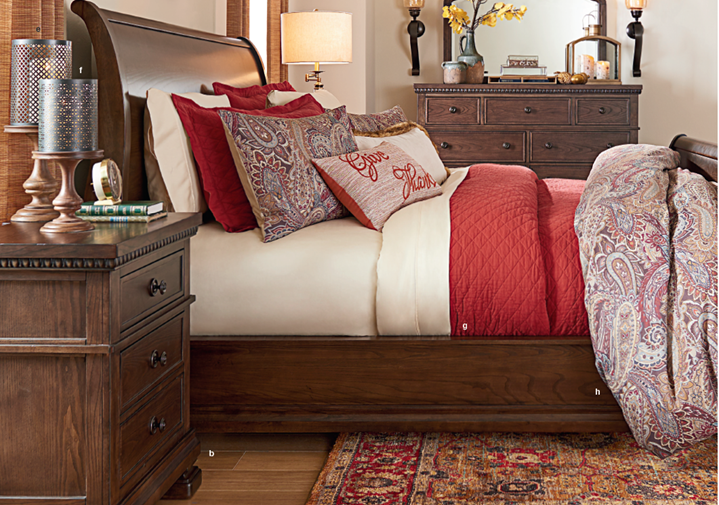 New bedding has a way of making you wake up feeling beautiful. And don’t stop at just one comforter set. Pairing a solid color with a pattern takes your look over the top. Lay down fields of softness room to room. 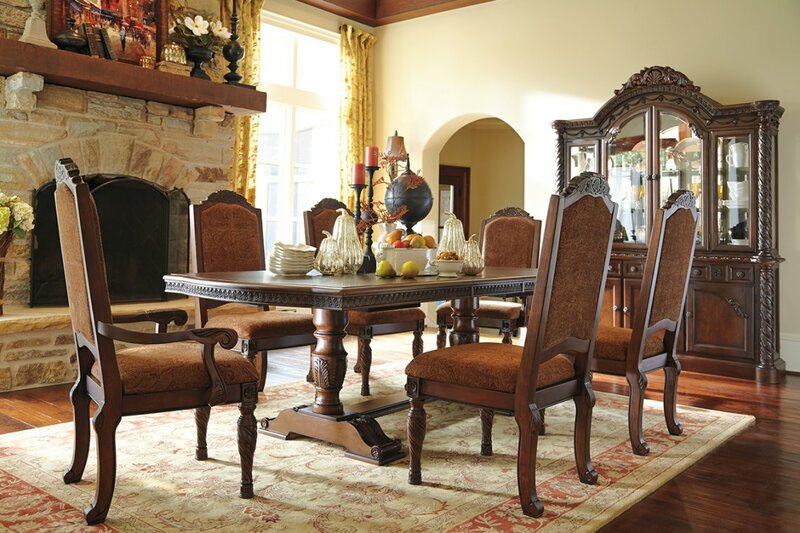 Fall for a variety of materials: incredibly soft wool, natural jute, resilient manmade fibers, even leather. Then delight in how any of these styles warm your floors. Throw in dashes of warmth. Having a throw or two in every room increases the comfort factor significantly. Opt for soft cable knits or fluffy faux fur varieties. Ahh, Fall! Who doesn’t love the sound of crisp leaves underfoot and the taste of pumpkin spice everything (especially lattes!)? 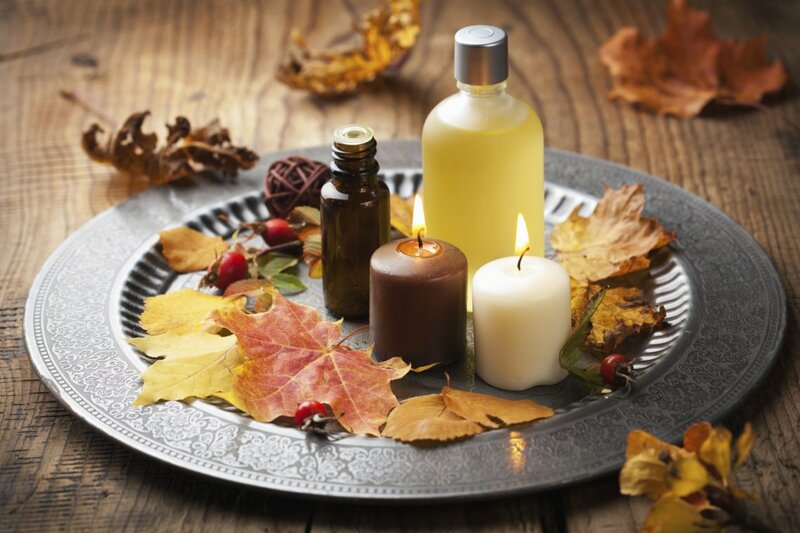 Here are some aroma tips for your home. Simply delicious, apples offer a golden opportunity for culinary magic. 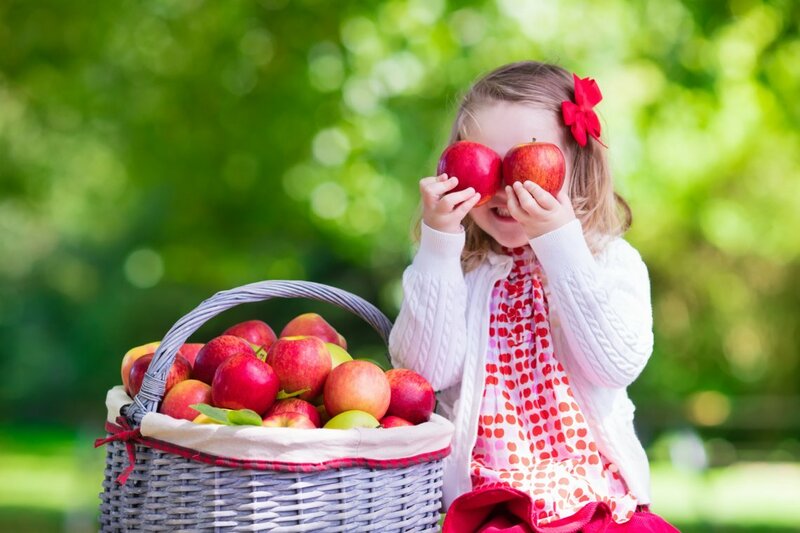 Can you believe there are more than 7,500 apple varieties worldwide? Talk about mass appeal. 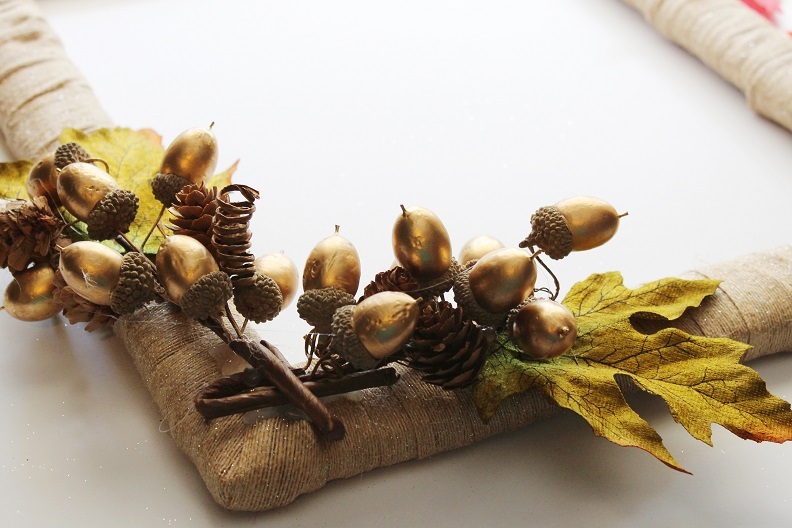 Incorporate a dash of the season into your home! 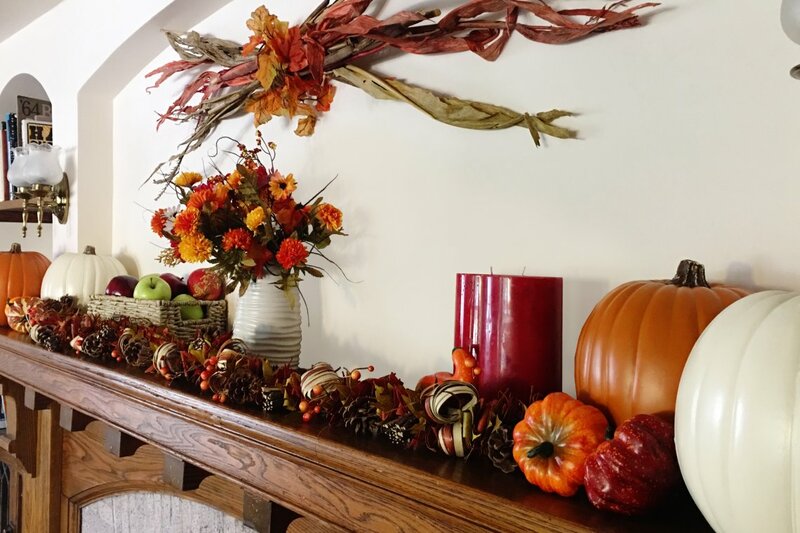 Ashley Furniture HomeStore has 5 fall decorating ideas that are sure to dazzle.